Property 10: Bright and quiet appartment in an historical mansion with private garden. Property 20: A Journey Through Real Sicily Starting From A Tiny Fisherman Village! 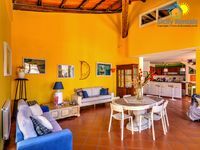 Property 31: Villa apartment with terrace overlooking the sea. Property 34: In the heart of Kalsa, a delightful apartment. Wi Fi Free! Parking Free! Villa Acqua Chiara apt " Terra"
Property 43: Villa Acqua Chiara apt " Terra"
Refined studio of 50 square meters in the heart of the historic center of Palermo. 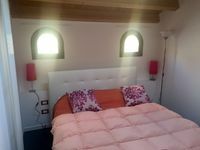 Property 49: Refined studio of 50 square meters in the heart of the historic center of Palermo. This was a great place, spacious and well thought out for furniture and amenities. Internet was solid. The location allowed us the ability to walk to a large number of cultural sites and attractions. Time was our only limiting factor. We'd stay here again if we pass through Palermo again in the future. We just spent a week here and it was amazing! You can not get a better location to explore Palermo! The flat was spacious and the neighborhood bustling! I highly recommend Castellammare.